You guys know that I'm a sucker for cute packaging and when I was recently introduced to YOPE, I instantly fell in love. I mean look at it - it's a juggling owl! Well, I think it's an owl? Regardless, it's CUTE! YOPE is a Polish brand that's recently launched here in the UK in Waitrose. They have a huge range of shower gels, body lotions, hand creams and they even have a new line of eco-friendly washing up liquids, bathroom, floor and kitchen cleaners too. However, they are most well known for their Natural Liquid Soaps and I was so happy when this cutie arrived on my doorstep the other week. As my regular readers will already know, I tend to avoid SLS in my products these days as it can sometimes dry out and irritate my skin, and everything from YOPE is free from SLS and SLES. The brand has been developed by a team of cosmetologists and dermatologists to be safe and healthy for everyone in the family to use, especially young children. The composition of the formulas are all 92% natural and feature low-processed ingredients, with no Parabens, PEGs, Silicones or artificial fragrances in any of their products. They have a wide variety of natural scents/flavours available and I've been loving this Ginger Sandalwood one which smells so uplifting with a nice subtle zing! The Sandalwood also adds an Autumnal element as it's quite woody and warming which works very well with the Ginger IMO. 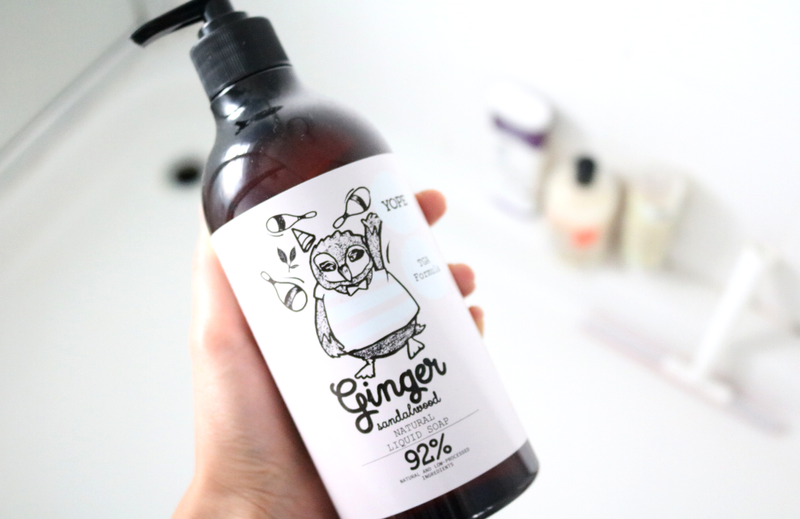 These ingredients aren't only included for their scent though as Organic Ginger Root Extract helps to fight off free radicals, whilst natural Sandalwood Extract promotes healthy skin regeneration, so it feels gentle and nourishing on the skin. Vitamin B5 and Allantoin are also present to further hydrate, refresh and soften, making it a pleasure to use. As with most Liquid Soaps, these are multi-purpose so you can use them to wash your hands, in the shower or bath, and I've been using it to clean my makeup brushes as well. The bottle comes in a huge 500ml size so it's excellent value for money - definitely give them a try! 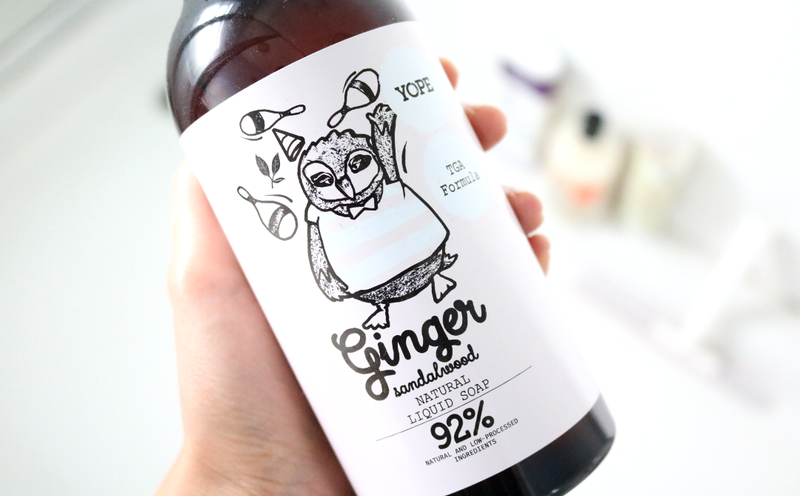 YOPE Ginger Sandalwood Natural Liquid Soap* (500ml, £7.99) is available from Waitrose. Have you discovered any new beauty brands at your local supermarket recently?